Is a member of the Armed Forces on active duty who has been listed for more than 90 days as missing in action, captured or forcibly detained or interned in the line of duty by a foreign government or power. 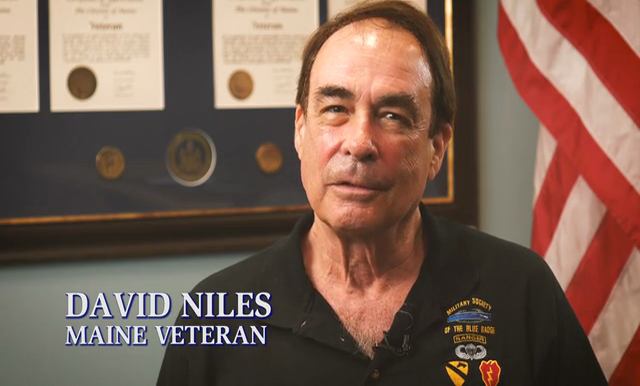 "Veteran" means any person who served in the military or naval forces of the United States and entered the service from this State or has been a resident of this State for five years immediately preceding application for aid and, if living, continues to reside in this State throughout the duration of benefits administered under the educational benefits program. Schools covered under this program include the University of Maine System, Maine Community Colleges, and Maine Maritime Academy.